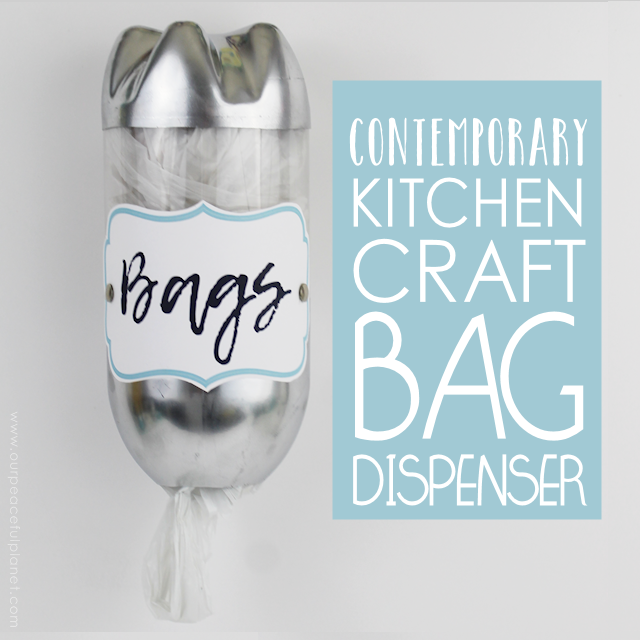 This kitchen bag dispenser is another item from our matching Contemporary Kitchen Craft Set. It’s perfect for for holding those plastic bags you get from the grocery store. Stuff ’em in and then pull ’em out at the bottom when you need one. 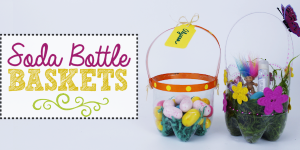 They’re fun and easy to make and a great upcycle project for 2 liter bottles. This is actually another style of our Geometric & Confetti Plastic Bag Holder & Dispenser we did a while back. You can check that one out too. To view this entire set visit our Contemporary Kitchen Craft Series page. Command Strips (optional, for hanging). Gather your supplies. 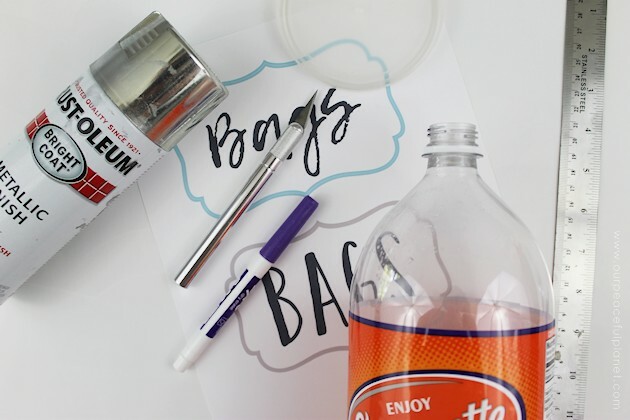 Be sure to remove the label and sticky residue from the 2 liter bottle so that you have a clean working surface. 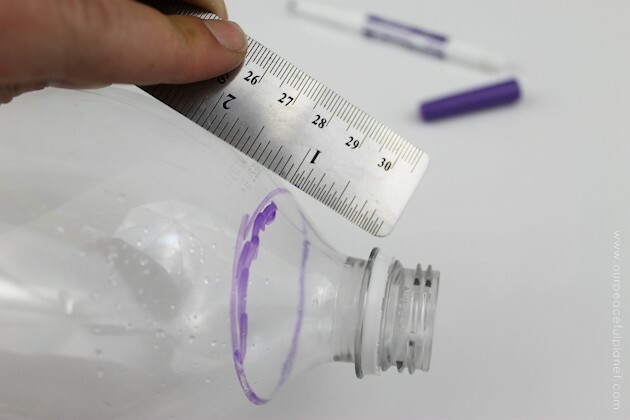 Using the dry erase marker, draw a line around the top of the bottle, 1 inch below the base of the mouth. 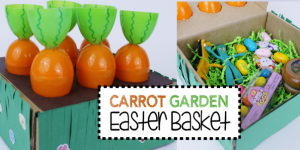 Cut along this line with an X-acto knife. 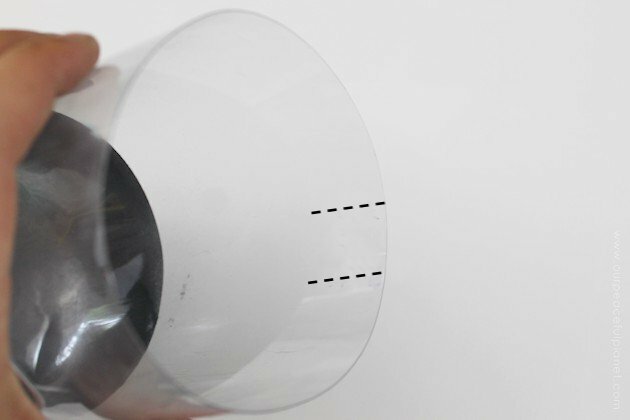 Remove the top, leaving a 3″ hole. 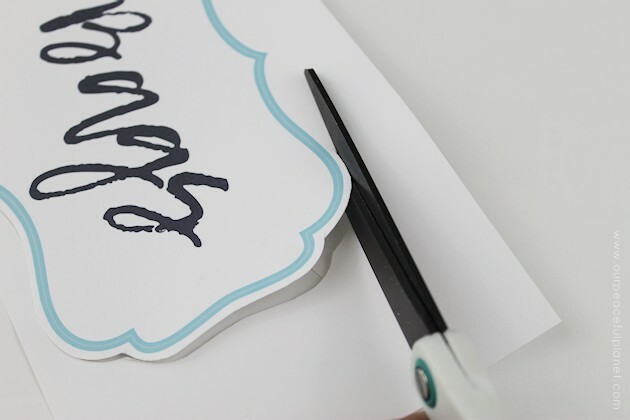 Wipe away any remaining dry erase marks. 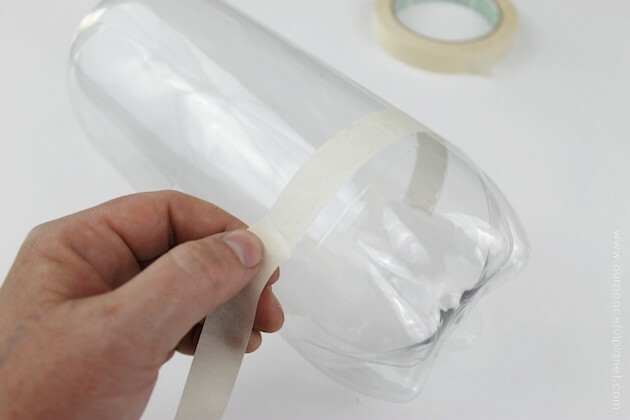 Using masking tape, wrap around the bottom of the soda bottle about 3 inches from the base. 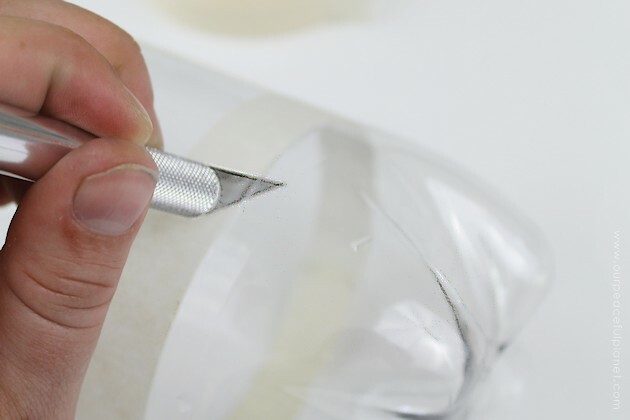 Cut along the bottom of the masking tape, removing the bottom of the bottle. 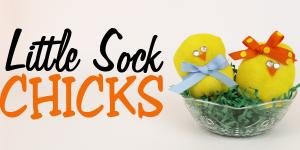 Clean up any rough edges with scissors. 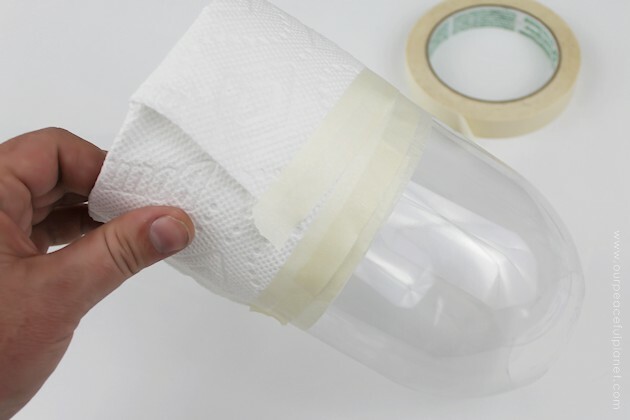 Remove masking tape when done. Be sure to keep the bottom of the bottle! You will need both pieces to complete the project. 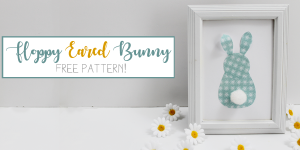 Using the link above, download and print the free label. Cut out the label and set aside. 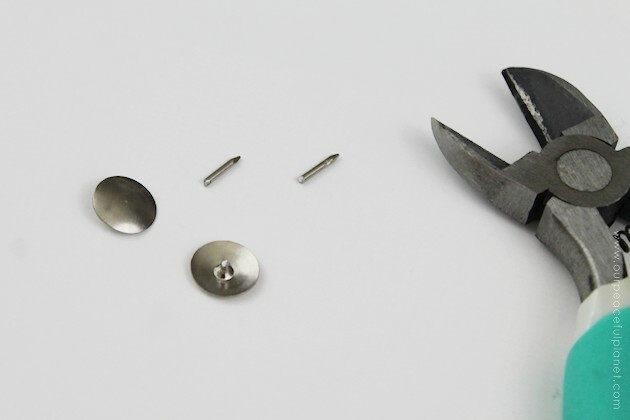 Using wire cutters, clip the points off of two silver push pins. Set aside the flat tops for later. 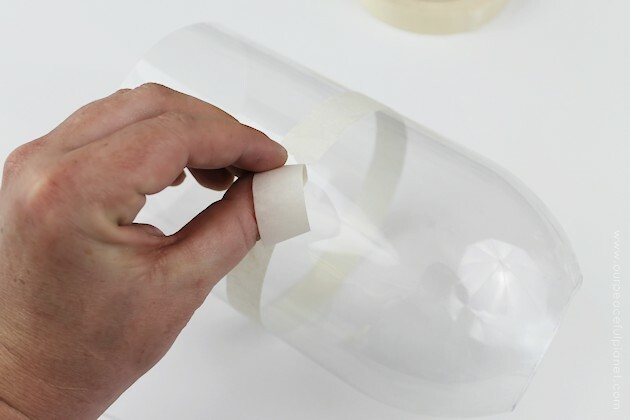 Tape around the center of the bottle using masking tape. 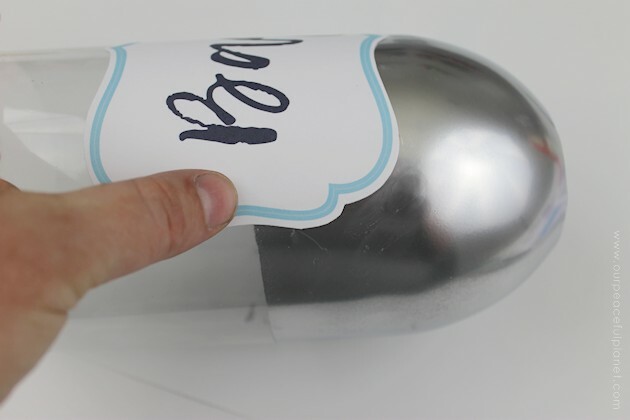 Cover the bottom half of the bottle with a paper towel. 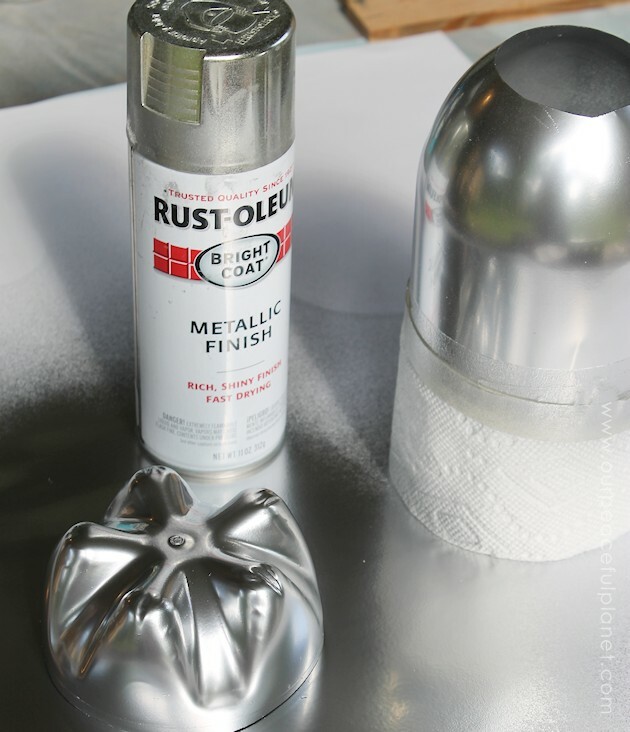 Spray paint the top of the bottle and the detached base of the bottle the color of your choice. 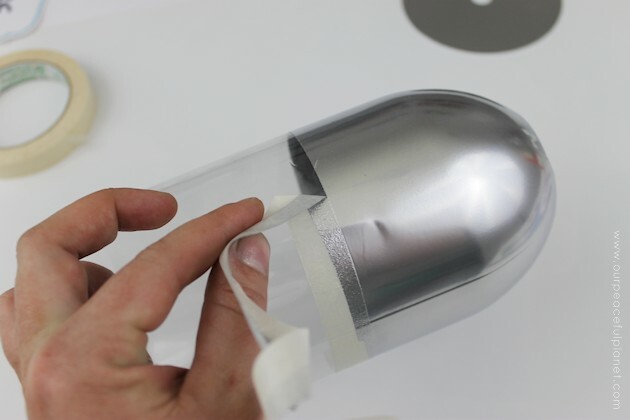 Let dry thoroughly to prevent the fingerprint marks that silver paint is notorious for. Once fully dry, remove the paper towel and masking tape. 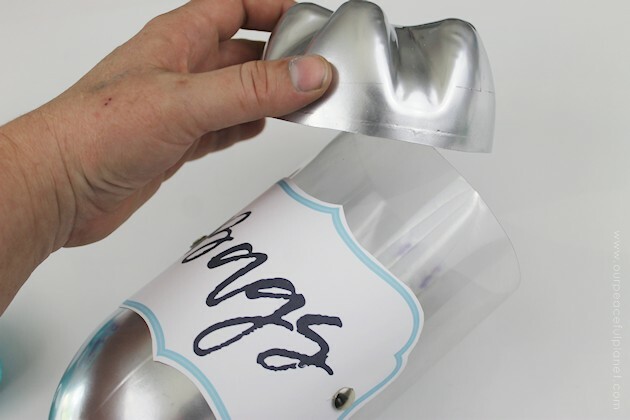 Apply two lines of hot glue to the back of your label at either end. 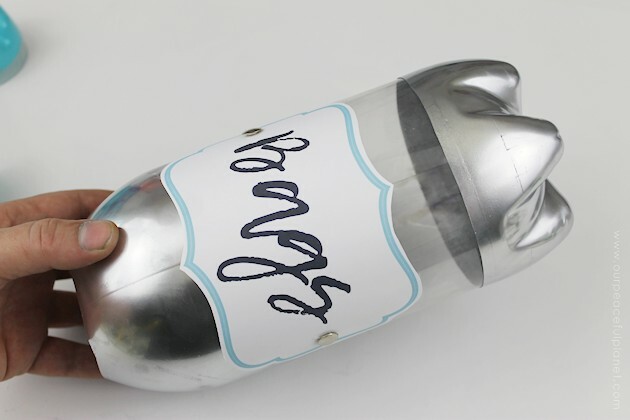 Place over the front of the bottle, centered vertically over the spray painted line. 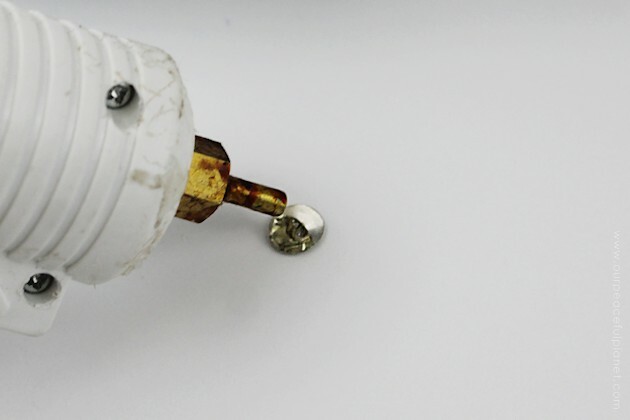 Apply a small amount of hot glue to the backs of the push pin tops. 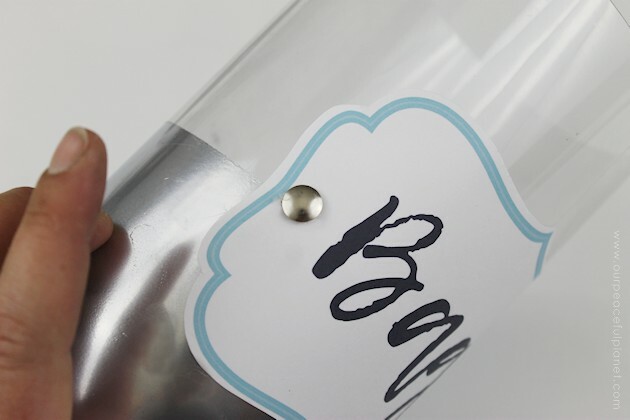 Apply the push pins to either end of the label, creating a faux stud. 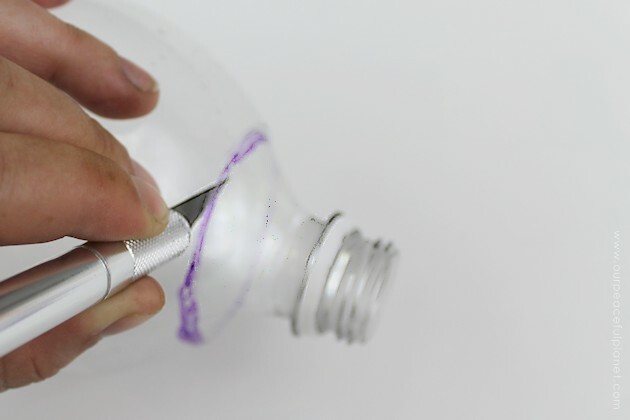 Cut two lines into the back of the large end of the bottle. From the edge, cut into the bottle about 1 inch. Do this a second time, 1 inch down from the first cut. 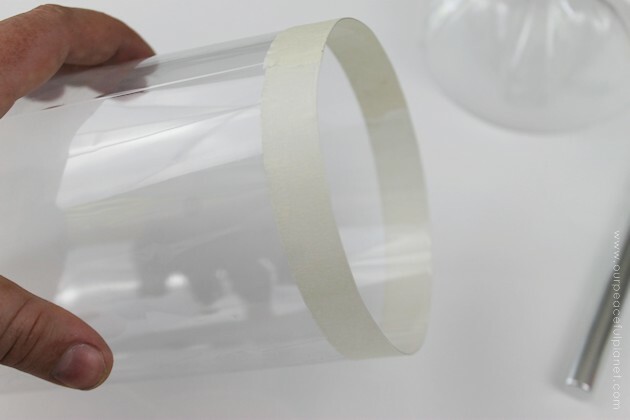 These cuts will allow for the lid to slip onto the bottle more easily. 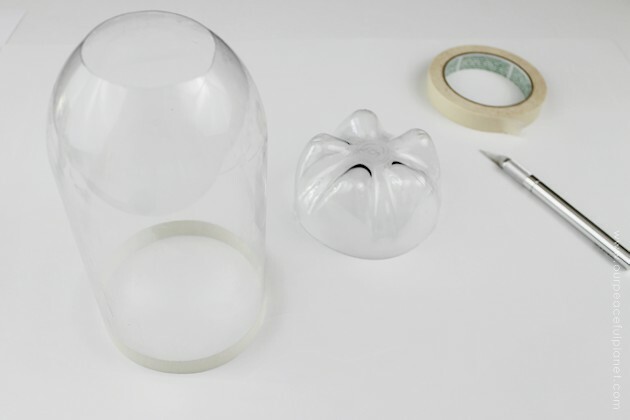 Take the painted silver base of the bottle and place it over the larger opening of the bottle, creating your lid. Now, simply remove the lid to fill with plastic grocery bags and replace the lid to keep out dust. Bags pull easily from the smaller opening at the base of the bottle. 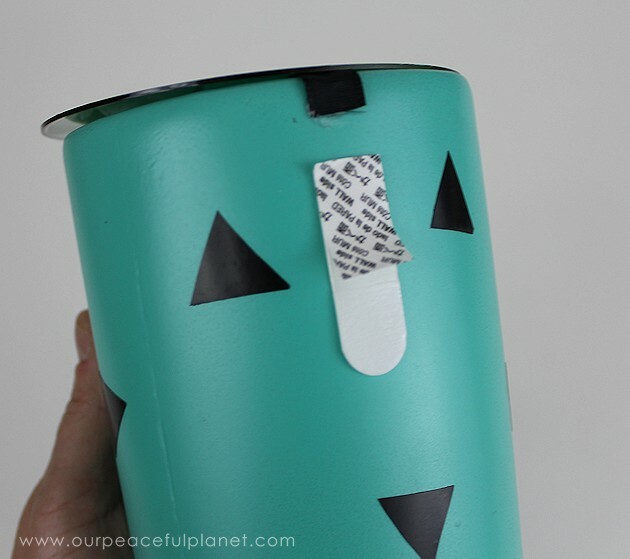 Hang in your pantry, on your fridge or anywhere needed for a simple and stylish bag dispenser that is also good for the planet! I am a very visual person, could you show how the dispenser is attached with the command hook? Thank you!! Love the idea, I have all mine in a tote bag hung on a command hook, yours definitely looks much better. I just can’t visualize how it attaches to the command hook. 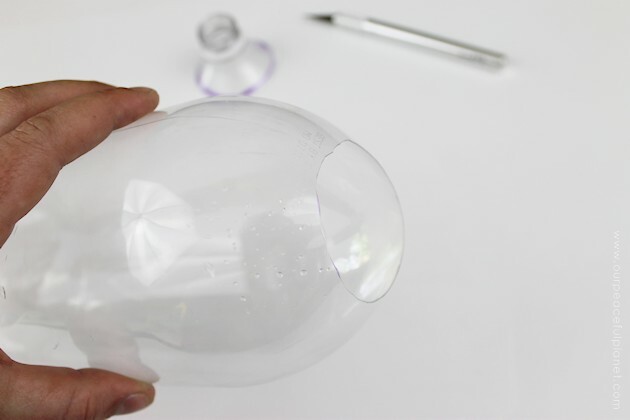 Did you cut a hole in the bottle to hang on the command hook? Hi Linda! We actually did another post that was similar to this one. It shows the command strip. 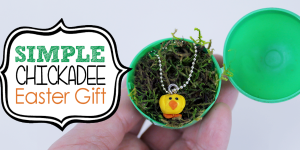 OLDER POST: https://craftyourhappiness.com/2016/04/19/plastic-bag-holder/ But I’ll add the photo here so you can see. Its just two sided strips you can use that don’t ruin your wall. There is link to them on Amazon on that post I just sent. They come in different sizes and are very strong! How do you hang up the dispenser? I’m so glad you mentioned that Ella. I left that part out accidentally. We hang ours using Command Strips as they hold it in place wonderfully and come off easily if needed. You could also punch a small hole and hang it with using a nail. But the Command Strips are much nicer. I added that info into the post. 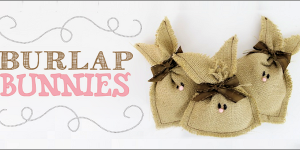 You don’t fold them… you just bunch them up and shove them down in… then grab the end of one sticking out. Works great!